Utilizing our Morph Stacking programming techniques, the Adventure patches allow you to perform lines 'on-the-fly' without any keyswitching. Coupled with two intuitively-programmed attack variations, the ability to spontaneously craft bold brass melodies quickly has never been easier. 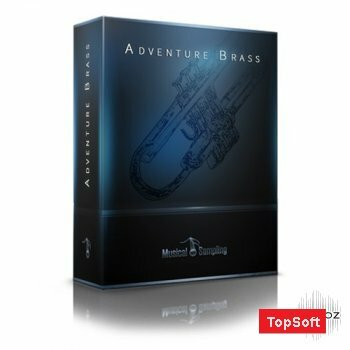 Adventure Brass 1.1 Release Notes: + Adventure and Majestic Patches are now up to 2.5x more efficient with polyphony than the original versions. + Included LITE patches of each instrument, which deactivates the release triggers and cuts down the overall polyphony count up to an additional 33% with the Adventure, Majestic and Sustain patches. + Vastly-improved performance with Kontakt AU in Logic.